Last Sunday, I had the pleasure of joining 125 ultrarunners for the 19th Annual Ohlone Wilderness 50k near Livermore, CA. 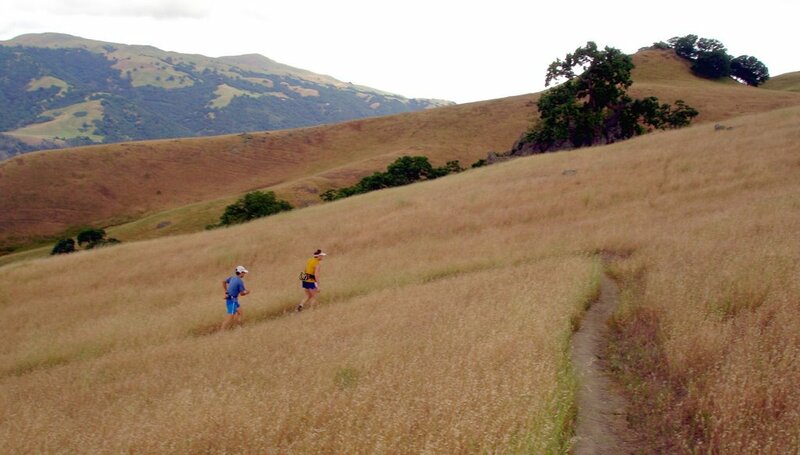 This point-to-point race cuts through the golden California hills of the East Bay, making it's way through the peaks and valleys of four regional parks. 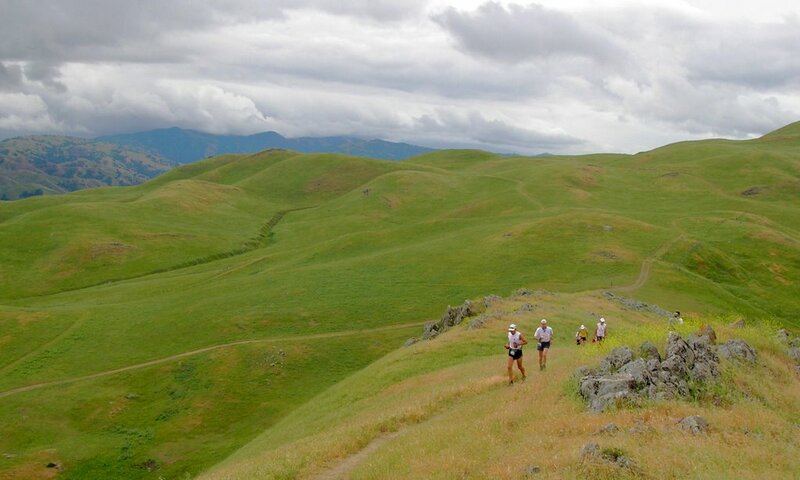 It's a favorite among the local ultra crowd, particularly if you're training for Western States and are looking for something hot, steep, and exposed to the elements to test your mettle one last time before you taper. Although we got a break from the sun this year, it still proved to be a challenging and fun day. As we rode the bus to the start, I decided the mellow weather provided an opportunity to try out a few new gadgets. I strapped on a Garmin ForeRunner 201 wrist GPS unit, an Amphipod fanny pack (to carry the camera, natch), and a new iPod Nano sleeve by Nike. Although each item looked great individually, I was realizing that altogether I was looking a bit cyborg. Did I really need all these gadgets? Well, no, but the geek in me just loves trying them out. 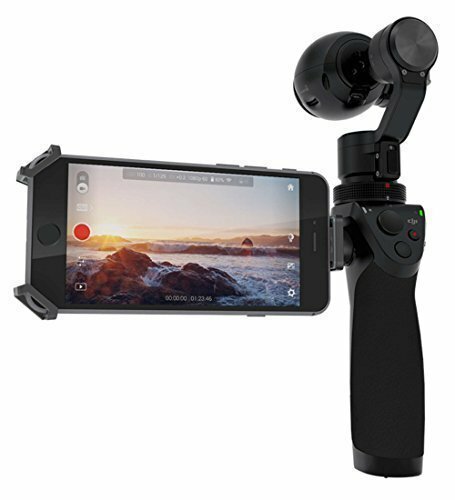 What harm could come from trying out new toys? As the 8am start arrived, it was warming up to a nice 60 degree day. The clouds kept the sun off our necks, but tempted us with a downpour. I took one last look at the sky and decided I probably didn't need a jacket. Even if it was wet, it would be warm. I strapped on the gaiters, topped off my water bottles, and stretched out my calves. We all grouped at the bottom of the hill, and the race began! We were going to have NO trouble getting warm on this course. The first four miles go straight up 2,000 vertical feet to Mission Peak. The road turned to a trail, and the trail to a cow path as we slowly zig-zagged up the lush hills. Graham Cooper (who won last year), Simon Mtuy, Gus Long, Mark Lantz, Mark Tanaka, and about five others had already disappeared over the hill as I got to the ridge. By the time I reached the top, I was soaked in sweat. I can only imagine what this course is like in the heat! The views were spectacular; even with the cloud cover, we could see endless waves of oak-pocked golden hills spread out in all directions. As we embraced gravity and headed downhill, a light rain began to fall. It was just enough to keep the dust at bay. The volunteers at Laurel Loop (6 miles) made sure we all filled up with as much water as possible, and reminded us that the weather could change quickly. I ran with two or three different packs of people over the next few miles, as we traded off setting the pace. 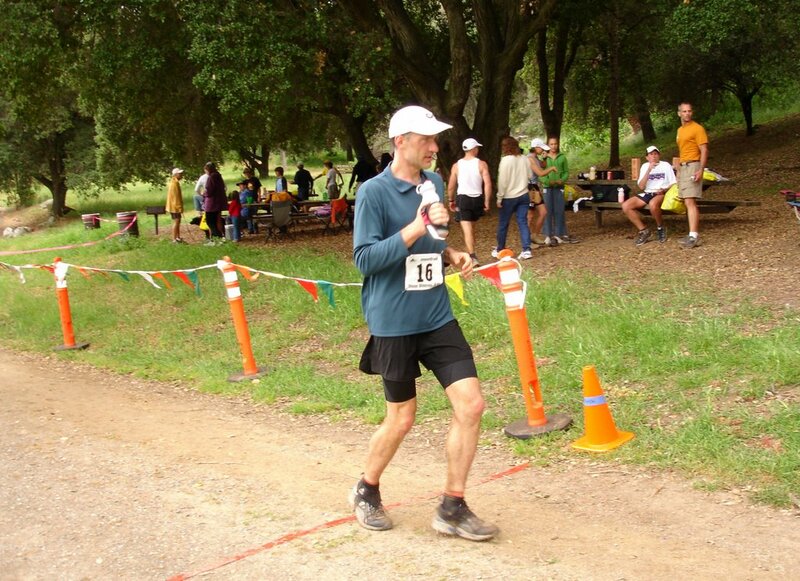 My pace seemed faster than Miwok, although I was still fast-walking anything steeper than a 10 degree pitch. I shared some research I had done about the Suenen Ohlone people, the Native American tribe for which these parts are named. 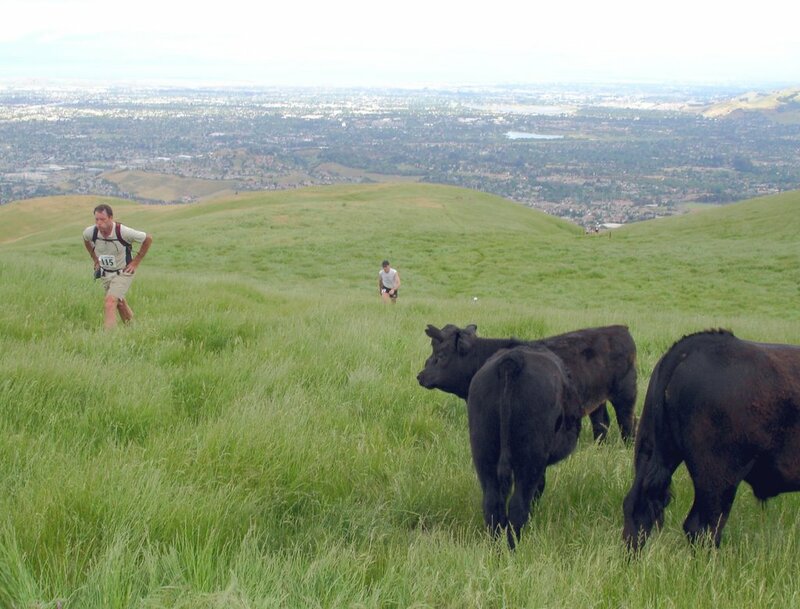 Similar to the Miwok tribes, the Ohlone history goes back 14,000 years. They led a harmonious life with surrounding nature in a mystical way. Many aspects of the Ohlone life did not discern between the spiritual (such as praying or fasting) and the material world (such as hunting). 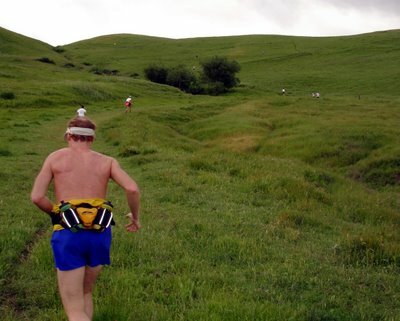 I've often felt a conscious blur of the spiritual and material worlds are the ideal ultrarunning state of mind. Oh, yeah - the Ohlone people also had dogs. Very cool. 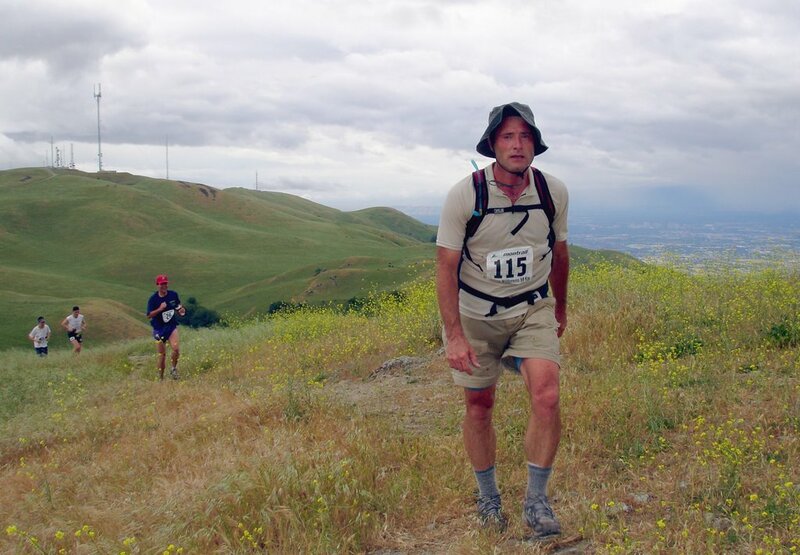 Before too long, we had made it to "the bottom" - the well-stocked Sunol aid station (mile 10) that marked the beginning of a 10-mile, 3,000 vertical foot climb. Nearly all of us took a full pit stop at Sunol to load up on calories. I went for my favorites - PB&J, potatoes, and M&M's - and filled the water bottles one more time. Despite the cool(ish) temperature, I was still drinking ~30 oz water/hour. As we began the climb, a thunderclap echoed across the valley and the sky began to darken. As if it was some sort of omen, I started to have all kinds of issues. As we neared Goat Rock (mile 16), the wind really began to pick up, and I was yearning for the jacket I had left at the starting line. If that wasn't enough, the rain had seeped into my salt pills, turning the pouch into a Lik-a-Maid salt stew. My ForeRunner GPS unit died (water? batteries? ), and my iPod was jumping from song to song randomly due to the moisture trapped in the Nike iPod sleeve. Meltdown! Note to self - the more stuff you bring, the more stuff that can go awry. That's alright - there's nothing wrong with turning it all off and enjoying the sounds of nature. Jeff Reifers caught up to me as we made the final push to Rose Hill. 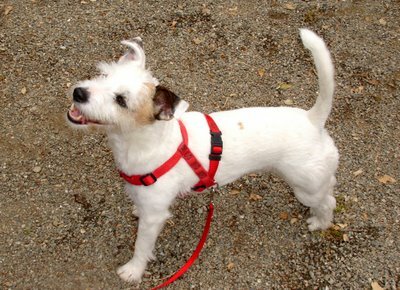 He was all smiles, even as he braced against the pelting rain that was now blowing sideways. 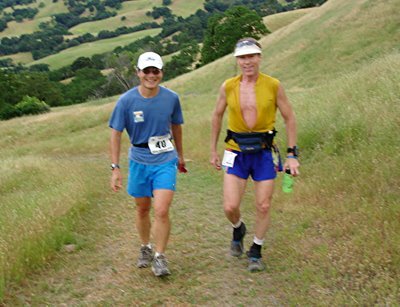 He let me know that work and three teenagers had cut into his ultra running quite a bit, but he managed to keep Ohlone and a few others on the calendar at all costs (a "required sanity check"). It was clear that Jeff had the right attitude - no matter what Mother Nature may dish out, there isn't any place he would rather be. With that boost of morale, we crested the peak and quickly made our way down to the Maggie's Half Acre aid station (mile 21) to refuel. I asked if they had soup and they all laughed - apparently not to many people ask for soup at Ohlone! On the rim of the world I am dancing! With a quick stop at Schilipor Rock (mile 27), I headed down into the last steep valley. The trees provided some cover from the wind, and I felt myself warming up again. Rick Gaston went flying by me, similar to how he had at Miwok (I have to learn his secret!). 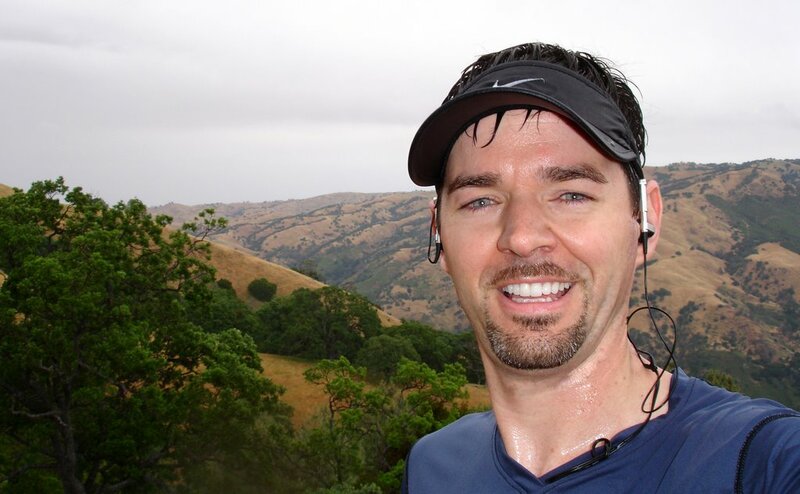 I crossed the stream, and crawled up the last brutal climb alongside of some very wet hikers. I stopped at the top to take one last picture of my soaked-to-the-bone self and headed down the last hill. Rick passed me again after a brief unplanned detour at the creek, and he was going even faster this time. He was unstoppable! I bombed the last steep hill and came into the finishing chute in 6:00:11. Had my watch worked, I'm sure I would have found it in me to break 6 hours, but I felt happy with the finish. Truman "Gus" Long had won in 4:49:32, just holding off a surge from Graham Cooper, who placed 2nd in 4:50:28 (and won the Quicksilver 50m last week!). Simon Mtuy came in third in 4:59:10. Mark Lantz won the 40-49 men's division with a 5:13:33 (even after a 4th place finish at Quicksliver 50m last weekend), and 62-year-old Al Brosio cleaned house in his age group with a staggering 5:58:04, taking 10 minutes off the age group record he set last year. Adrian Jue got 3rd in the 30-and-under division in his very first ultra, finishing in 6:36:52. We all relaxed at the finish line, ate BBQ, and congratulated the many first-timers (really, Jeff, there ARE easier courses!). I enjoyed the fact that Mother Nature forced my hand to see the Ohlone Wilderness, even if she had to wreck a few gadgets to get my attention. How else would I have known to face the rain and 'dance on the rim of the world' the Ohlone Way? A special thanks to Rob Byrne and Larry England for directing a great race, and to their SPECTACULAR volunteers who hiked all those goodies up to the aid stations and braved the weather for us. You made it a very special day! Great race report. 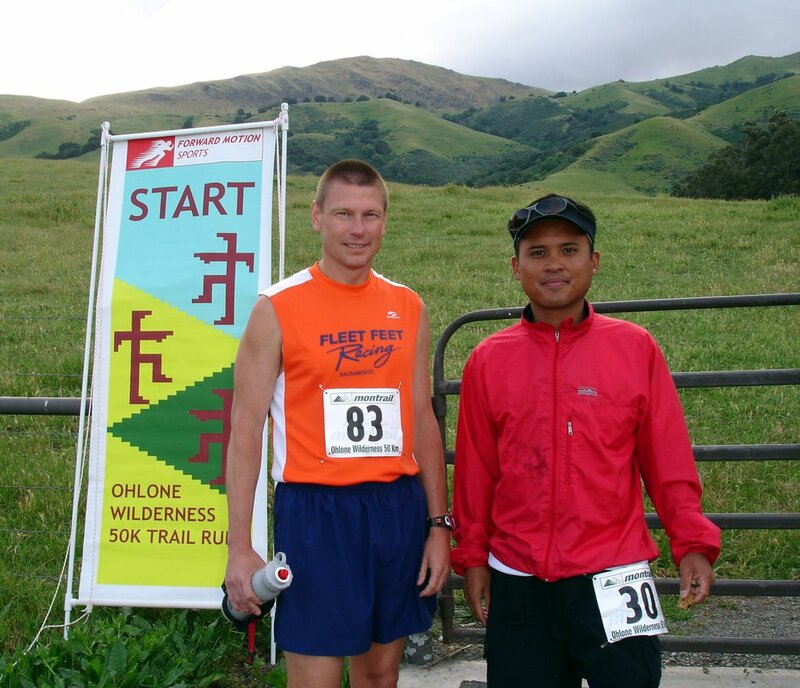 This year's Ohlone was my first ultra and your blog let me re-live the joy in full color! I also enjoyed your links to info about the Ohlone people. I now know a bit more about the history of my own backyard. Thanks. Hmmm...you and Rena start slower but finish faster. I think I get the secret! 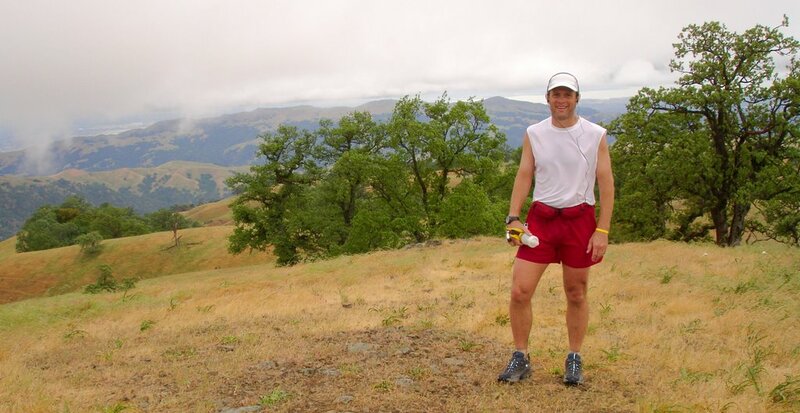 Best of luck on your remaining WS100 training, and if I don't see you beforehand, have a great States! Thanks Scott. You're welcome on the pics. 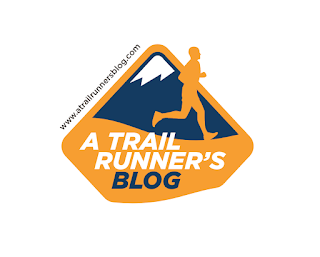 Love your blog as usual, and I love your race report even more. However, I got 3rd in the Males 30 and under age division, not female age division. It was nice talking to you at the finish and that has inspired me to do the AR50 next year. Happy trails! My apologies, Adrian. I corrected it above. Given your outstanding debut at Ohlone, I bet you would do very well at the AR50! So glad you've caught the ultra bug. Congrats Scott!! Great pictures and recap. Looks like a beautiful race! Just reporting a result I thought deserves mention. 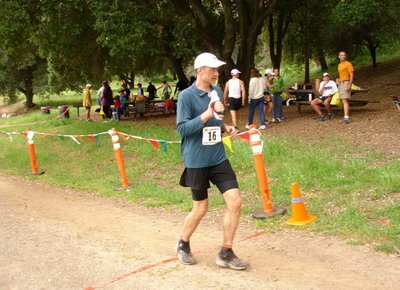 Didn't Graham Cooper win the Quicksilver 50 miler (setting a new course record) 1 week before Ohlone (2nd place)? Looks like he's having an awesome season! Also congrats to all who did Ohlone. Sounds like a tough course. Great race report! I just recently noticed that the guy sitting next to Mark Lantz in one of the photos on my digital camera post-race is the same guy who won the championship in 2004 featured on page 6 of that special Trail Runner Trophy Series edition they stuck in our bags. (Congratulations!) Sorry I haven't met you in person yet, although now I've sort of met you via the blog and can now recognize you. Your blogsite is *incredibly* well-designed, beautiful, fun and even educational--I'm going to add it to my favorites. 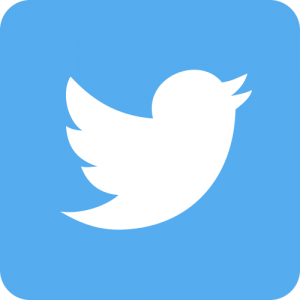 I will try to send you that photo either through this site if I can figure it how, or else via RD Rob. Congrats on a great race too, even though you just missed that 6. Thanks for all the great photos. It looks like an awesome race. Yes, Chikara, it's the same Graham Cooper who set the course record at Quicksilver! I have no idea how these guys recover so fast. Nicole, good catch on crossing out the race - all fixed! Thanks for sharing your story and pictures. The first one I read weeks ago is the interview with Chikara Omine (I chat with him in Mowok 100K). I could not stop continuing other articles since then. It's part of fun in reading your blog while I was doing ultra every week these days. 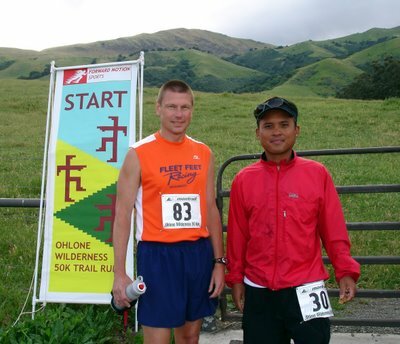 It was a nice chat with you at Ohlone 50K. I'm amazed that you carried so many toys while running this tough course. This should give them a cruel test. Hope to see you soon on trails. Another good race report with your many personal comments and bonus historical insights! Eating & filling bottles 7 min. The 9 degree incline is an approximation. I tend to speed-walk when my heart rate is pushed to lactic threshhold (which I measure with the heart monitor, or when I can feel my heart pulsing in my neck). This happens on grades slightly less than my 11 degree driveway. I think a majority of ultrarunners use this tactic, although the real elites appear to run everything. 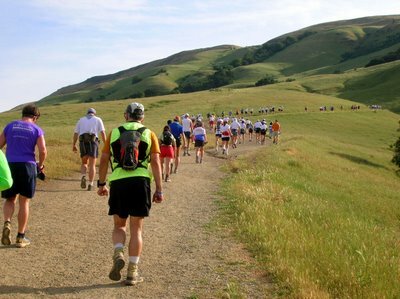 I got the idea after watching folks like William Emerson (a PNW runner) walk the hills, and still win the race. I hope your trip was fun! Scott, I love the in-race photos. No idea how you manage to run the race AND take such beautiful photos but keep it up. It's fun to follow along. I love your recaps. Great pics! 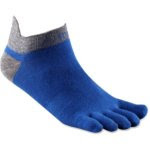 URB597 - Runners High in a Pill?